These boards had passive ISA and some even PCI slots. What these ports where used for was "one computer PC boards". These card where industry PC mainboards that usually had no expansion slots at all, but where fitted directly in an ISA slot, PCI slot or some times two slots in line with one another. In the PC world one usually had bus boards where several of these one card PC's could be sitting next to one another. They could communicate with one another using the bus board to work together as clusters or separate computers. 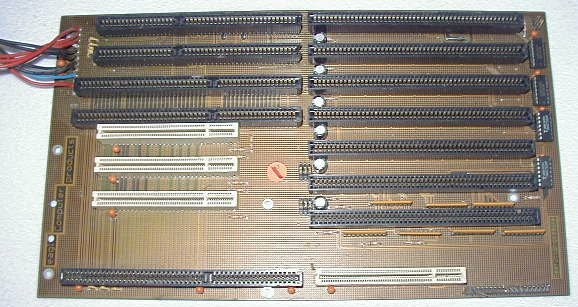 Some lacked vital expansions such as graphic cards, and then they could use the other ISA or PCI slots on the bus board as expansion slots. The Passive PCI and ISA slots usually have active power connectors taking power from the Amiga power supply. Page contributors: Jürgen Weiß, Matthew G. Hauge.